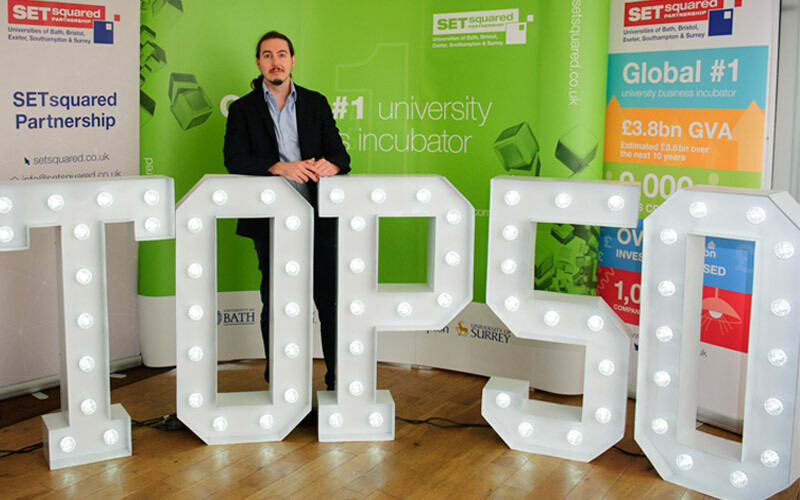 Peter Davies, founder of Green Running celebrated being announced as a top 50 entrepreneur of global number one university business incubator, SETsquared at the House of Commons. Peter was on an exclusive list selected from over 1,000 entrepreneurs who have been supported by SETsquared during the last 15 years. The announcement took place on 29 March – the historic day that Prime Minister Theresa May triggered Article 50 to leave the EU – serving as a reminder of the UK’s strength in innovation and entrepreneurship in the global market. Peter has developed Verv, an advanced home energy monitor which uses artificial intelligence to detect what electrical appliances you have in your home and displays the cost breakdown if each appliance in real-time as you use it. Green Running now employs a team of 20 people in London Bridge and has received investment from Centrica; owners of British Gas to further develop Verv and release it to the market.